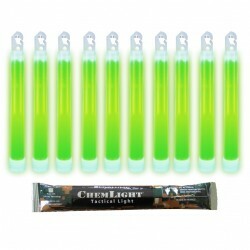 6'' green ChemLight lightsticks (15cm) phthalate-free, duration of 24 hours, 12 hours or 30 minutes in High Intensity (HI). Available in 10-pack, pack of 100pcs or 500pcs. 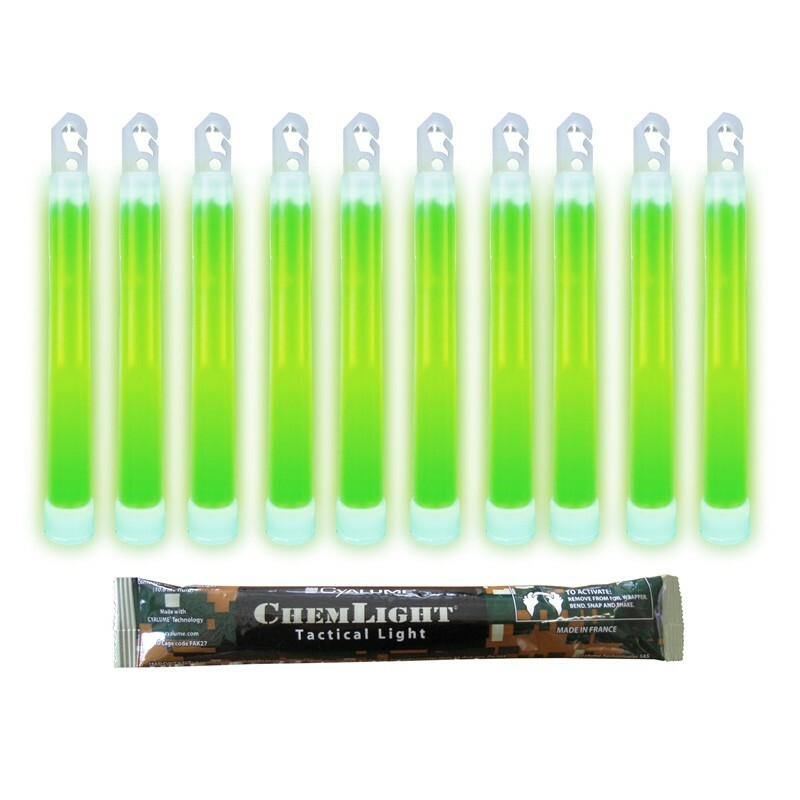 Each green 6 inch ChemLight light stick is individually foil-wrapped for protection from light and moisture, and has up to four-year shelf life from date of manufacture. Important: The light intensity of all our Light products are inversely proportional to their duration. Therefore a 5 minute product (in the same colour) will be much brighter than a 30 minute product, or indeed a 12 hour/24 hour product in the same colour. 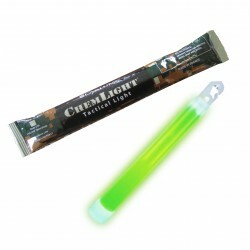 The 6'' Green Cyalume ChemLight light stick is used for more than 40 years by all military forces worldwide and is designed for tactical operations on operation theatres as well as training sessions. 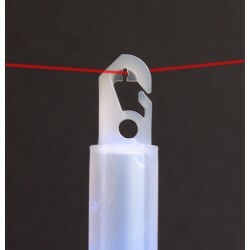 This advanced light stick has a strong hook and gate extremity. This hook has flat facet to orient hook opening at night. 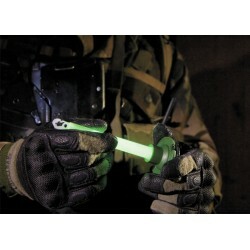 The hexagonal shape of the ChemLight reduces rolling on hard surfaces. 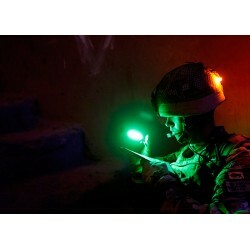 The Cyalume ChemLight are the recognised standard in terms of light sticks and are recognized as such by the armed forces around the world for more than 45 years.